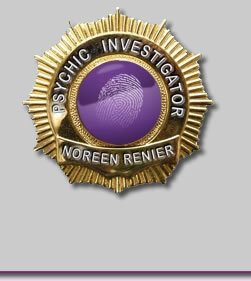 Psychic Detective Noreen Renier will be speaking under the auspices of the Rhine Research Center at 7:30 PM on June 16th, 2006, at the Stedman Auditorium on the Duke Center for Living Campus. 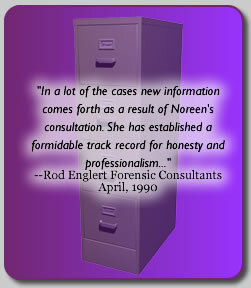 You may have seen Noreen as a guest on the Nancy Grace and Larry King shows or, recently, on an episode of Court TV's popular Psychic Detectives series. For over two decades this gracious woman has matched wits with murderers, rapists, and child molesters, using only the powers of her mind. She is the only psychic to be recommended by both the FBI and police, and has worked on more than 400 cases with law enforcement agencies in 42 states and 6 foreign countries.